The existing installation included a total of 40 400W Metal Halide lamps. 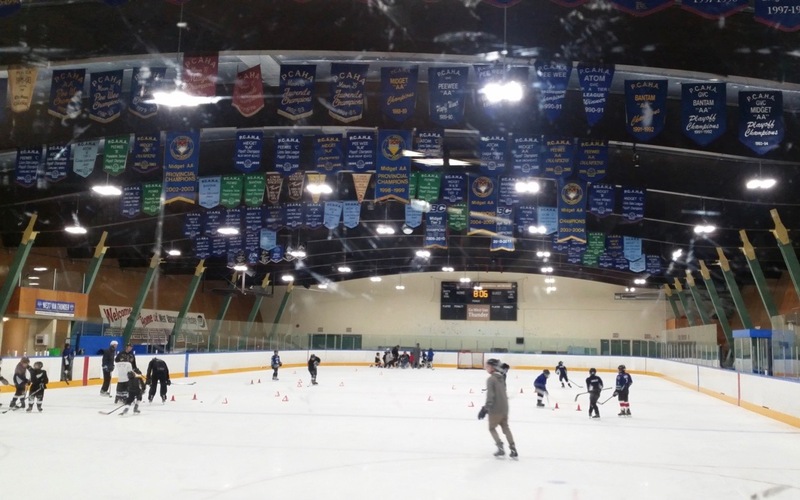 The West Vancouver Ice Arena was poorly lit with a foot candle reading below 25fc. The traditional light source had diminished to below acceptable standards. In addition, their energy consumption per year was 98,790 kwh. The City of West Vancouver was looking to replace their existing fixtures for an affordable LED solution that emphasized hydro savings and lighting quality. Through an energy audit performed by CNJ Lighting Solutions and consideration of several LED lighting manufacturers, the City of West Vancouver selected Flex Lighting Solutions to retrofit its 22,100 sq. ft. ice arena. They replaced a total of 40 400W Metal Halide lamps one-for-one with 40 Essentials Value Series (6-Module Short).